To celebrate Art Week, join us for a 2 1/2 hour cruise, allowing you to sketch, draw, paint or photograph two local lighthouses. Guests should bring along their favorite medium and their own art materials, and let their creativity flow! We will depart 9 Town Wharf, Plymouth, MA at 10:00 am, on Saturday, and return to the dock at 12:30 pm. 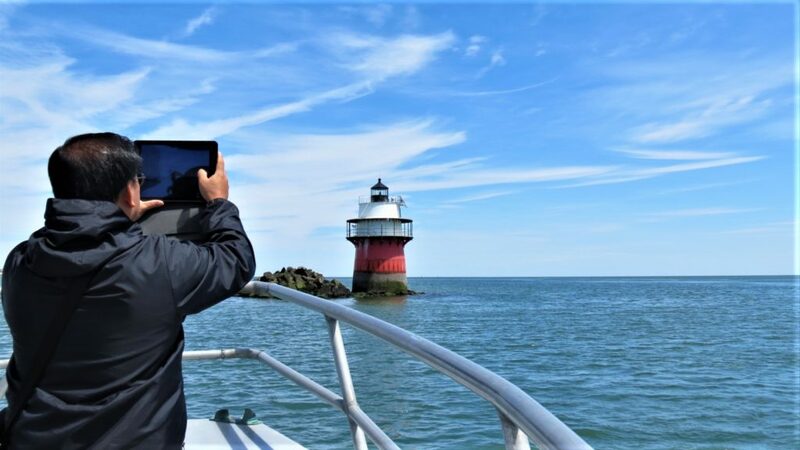 The cruise will begin with a narrated harbor tour, prior to our arrival at the Duxbury Pier Light, locally known as “Bug Light”. We will stay nearby for 30 minutes, then sail out to the Gurnet Point Lighthouse for another 30 minutes. Coffee, tea and soft drinks will be available on board. For Springtime weather it’s always best to dress in warm layers.